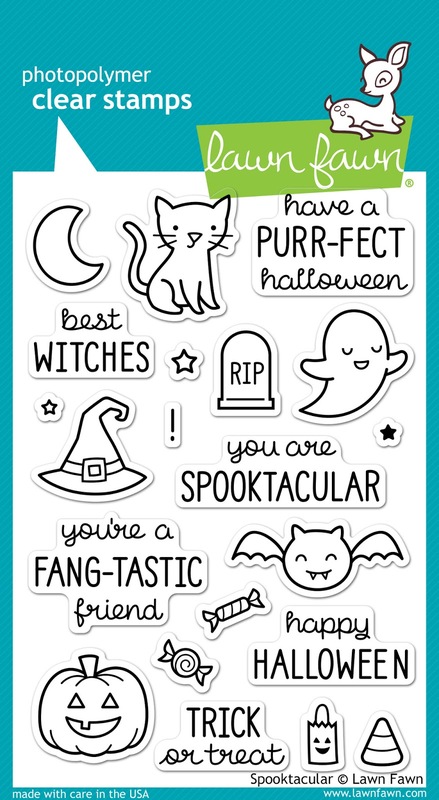 Halloween is just over a month away.............do you have your cards made yet? 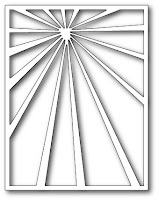 I think sunburst / starburst dies work great as backgrounds on cards; you can do so much with them. 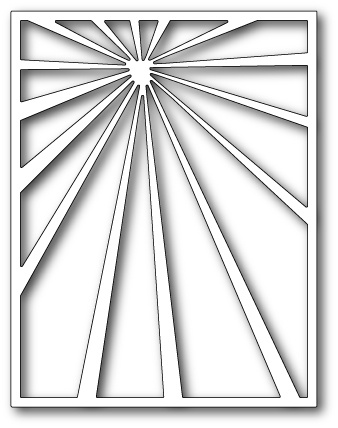 For today's cards, I decided to cut the Memory Box Radiant Frame with black cardstock. TIP: If you layer the Radiant Frame on a piece of paper the same color as the frame itself, it helps to hide any imperfections when gluing the rays back into the frame. TIP: I don't adhere the "spokes" that are on the Radiant Frame; I simply glue around the four edges of the frame itself. The rays will hold the spokes down later. I cut out the Radiant Frame 3 more times on three different pattern papers which gave me enough "rays" to make three cards. I like to send Halloween cards to my nieces and nephews, even those who are in college. Back when I was in college I rarely got mail, but when I did, it really made my day. So hopefully I can put a smile on my niece's and nephew's faces and include a little treat inside as an extra bonus. After all, these are Halloween cards. I'll be making more Halloween cards this month which you can view on my personal blog at www.anngcrafts.blogspot.com. For even more inspiration, stop by the Dies R Us Blog for some great work by the other Design Team ladies. Three fantastic Halloween cards Ann! I love the Radiant frame die, and how you've paper pieced them all. 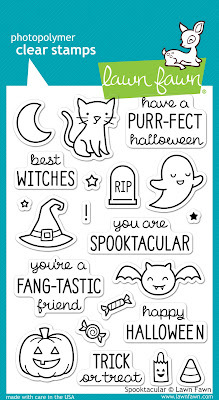 I am not into Halloween, but can see this would be a lovely die to use for other cards throughout the year.You have created great spooky scenes, very clever! These are super cute, Ann! I love the sunburst in the background. It really brings all these cards together. Thanks for your always awesome inspiration!! Fantastic idea to use the sunburst die as a paper pieced background for these Halloweenie scenes, Ann! Each scene tells a great story. I especially like the contrasting background "sky". So much fun, right down to those tee tiny jack o lanterns! OMG these are adorable Ann! I love how you used the same background but yet each card has it's own identity! GREAT JOB!